We know a Patronus can be a single, larger animal like a deer, wolf, or cat, but what if someone has a special affinity with ladybugs? Would the spell only summon one, or could they conjure a swarm? Does the size of the Patronus determine how many you get each time? What are the numeric limits of a single Patronus Charm? It seems like a Patronus is one animal - unless multiple are cast. 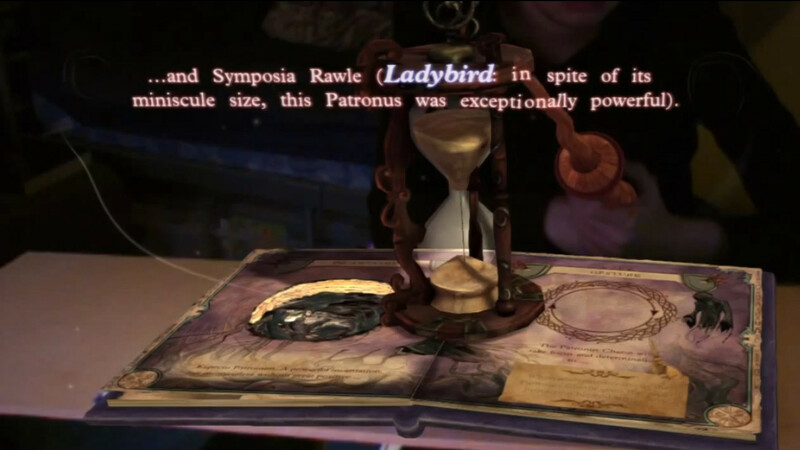 There is a witch mentioned in Wonderbook: Book of Spells with a ladybug as her Patronus, and it seems to be just one. Also, the Pottermore writing on the Patronus Charm refers to a wizard with a mouse Patronus, which seemed to be singular as well. Never forget, though, that one of the most famous Patronuses of all time was a lowly mouse, which belonged to a legendary young wizard called Illyius, who used it to hold off an attack from an army of Dementors single-handedly. 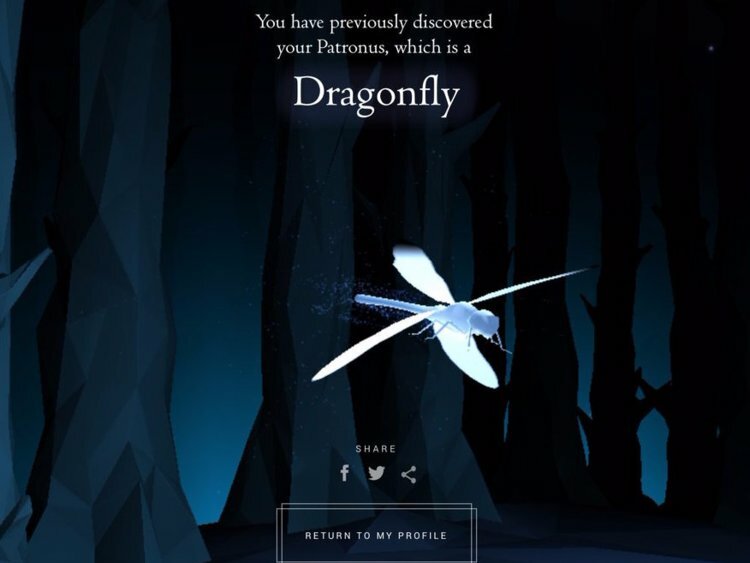 In addition, on the Pottermore quiz on finding your Patronus, even the smallest creatures (like the dragonfly, which is also an insect, or the field mouse) are shown as one creature when cast on the website. The size of the animal doesn’t seem to determine how many of it would be summoned by a single Patronus Charm. While it’s never specifically stated that the Patronus created by casting a single Patronus Charm is always one animal, all the evidence seems to indicate that it would be. The only instance of more than one Patronus seems intentional. McGonagall is the only one who’s ever shown to have cast more than one Patronus at the same time, but it seems highly unlikely that her Patronus is by default three cats. At the time she cast the three Patronuses, she wanted to alert her fellow Heads of House - three people in all. She marched towards the door, and as she did so she raised her wand. From the tip burst three silver cats with spectacle markings around their eyes. The Patronuses ran sleekly ahead, filling the spiral staircase with silvery lights, as Professor McGonagall, Harry and Luna hurried back down. She used nonverbal magic, so we don’t see how many times she used the incantation - we can’t simply count how many times she cast it. However, since the number of Patronus cats she cast matches the number of messengers she needed, it seems far more likely that the reason she produced three cats on that occasion is because she needed one to send to each Head of House, rather than her Patronus always being three cats. [McGonagall] marched towards the door, and as she did so she raised her wand. From the tip burst three silver cats with spectacle markings around their eyes. The Patronuses ran sleekly ahead, filling the spiral staircase with silvery lights, as Professor McGonagall, Harry and Luna hurried back down. I think this is the only time we see someone cast multiple Patronuses at once. I guess it's worth noting that we do know of one person whose Patronus was a ladybug (British English: "ladybird"): Symposia Rawle. What different animal forms have Patronuses taken in Harry Potter canon? Besides the Basilisk, What Kind of Magic Can Cause Someone to Be Petrified? Was Harry a very powerful wizard when he casts the patronus charm at the dementors? Is the use of magic physically limited in some way in Harry Potter? Given a magical world, why is the Quibbler ridiculous? What is the difference between being an Animagus and simply transfiguring yourself into an animal?